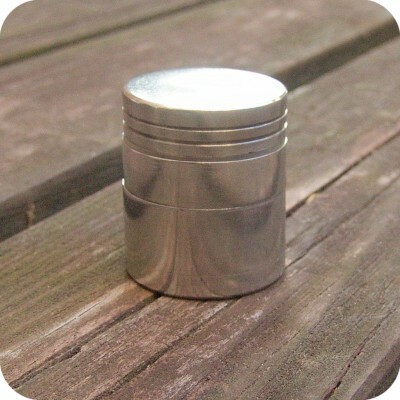 This small size, four piece metal grinder sits at 2″ in diameter and 1 1/2″ in height. This grinder comes in four pieces, has three compartments, and has a magnetic top for a convenient and secure close. The top chamber has sharp metallic teeth that break apart your herbs to make them smaller and of a more manageable consistency. 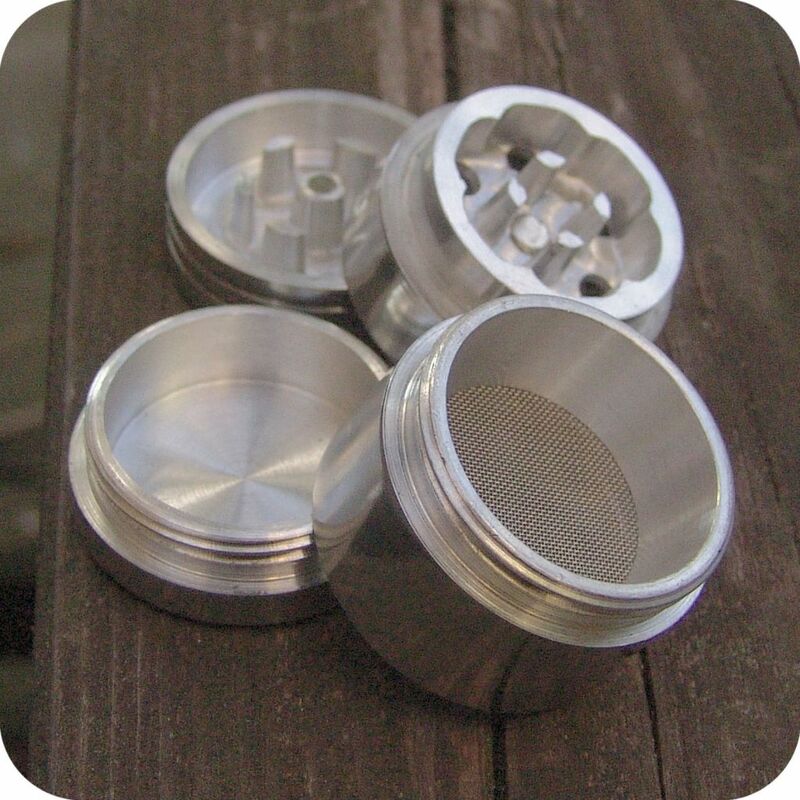 As you grind you herbs the smallest particulates are filtered through a fine .005 micron screen mesh and deposited in a dedicated chamber. Our regular pollinators are machined with high quality aluminum and are built to last. 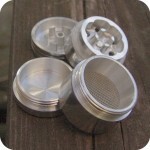 There are many reasons as to why a grinder is a must have tool for smokers of all preferences and experiences. 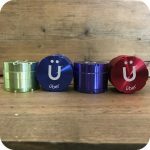 A grinder will finely and evenly break up your herb, which leads to an ultimately smoother and more even smoke no matter what your favorite method of smoking may be. 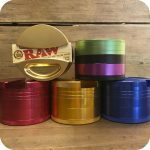 For those who prefer to roll their own, a grinder is an absolute must in ensuring the paper burns evenly. It will help avoid the common issue of the paper burning too quickly on one side of the cigarette, also known as “canoeing.” Vaporizer manufacturers also insist that properly ground up herb is essential to making sure their products perform at their optimal level. 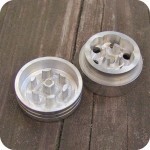 Finally, another advantage to a grinder, briefly mentioned above, is the final chamber, also know as the “pollen catcher.” This final chamber collects and stores extra dust or pollen from your herb that may be otherwise lost and stuck to your fingers if you choose to grind manually. Watch it collect over time, and save it for a rainy day! 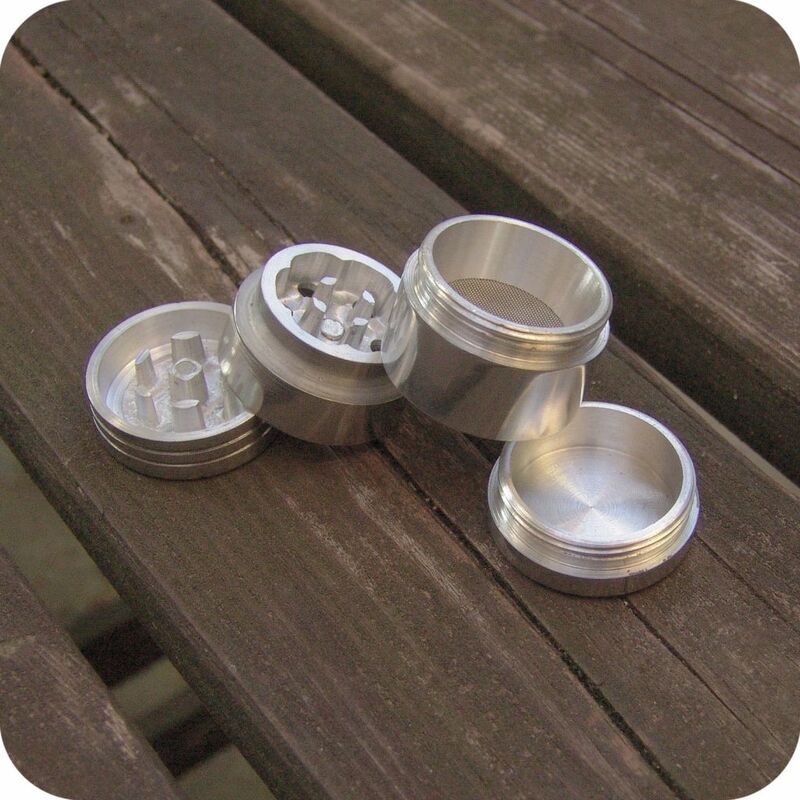 It is quite evident of the importance a grinder can be when it comes to your smoking ritual. Swing by either store location, or order online here to step up your smoking experience. Tags: Brooklyn, Four Chamber Grinder, Grinder, Metal Grinder, NYC, Pollinator, Small Pollinator, Sunflower Glass Company.